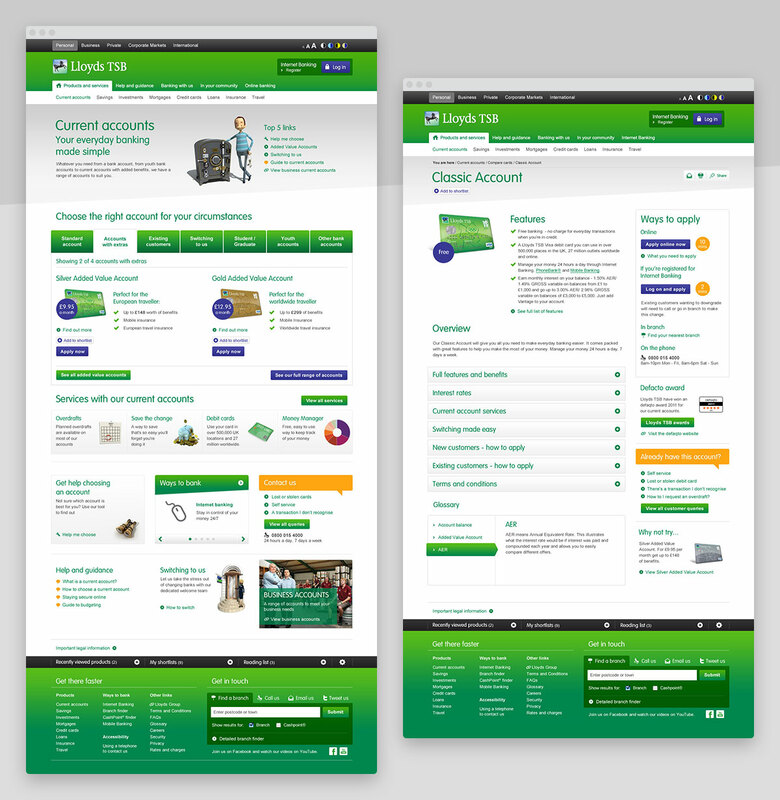 Britain's largest retail bank, Lloyds TSB, needed a new platform for all of their public sites. 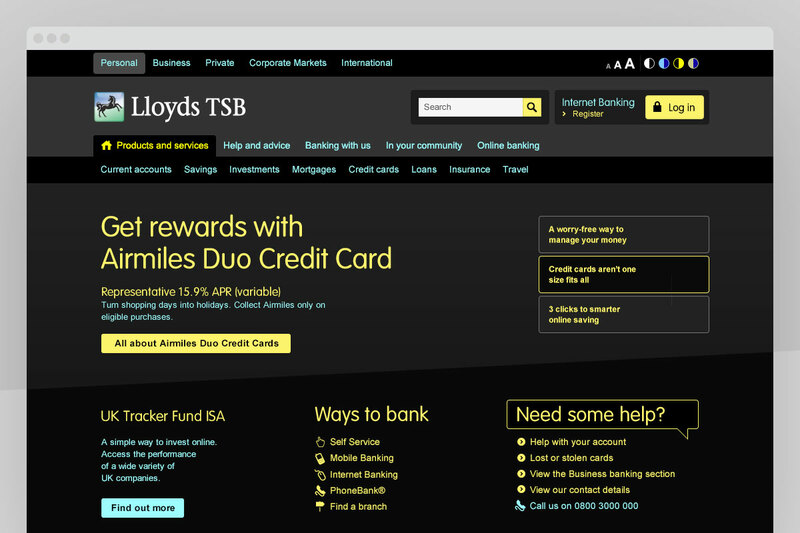 Integrating the needs of multiple banking brands, their divisions and customers together in one place. 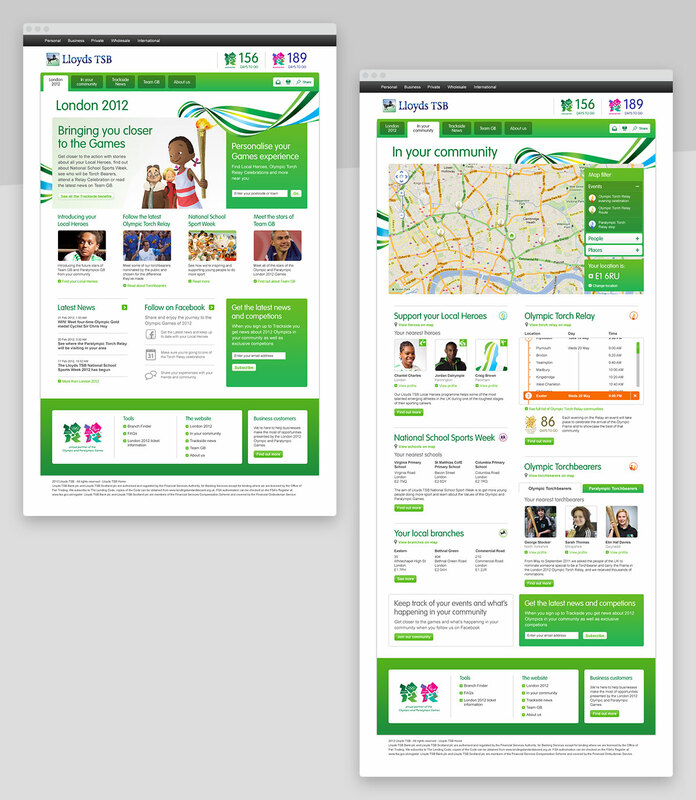 I led a team of designers and created a digital experience that met the needs of the diverse range of stakeholders. 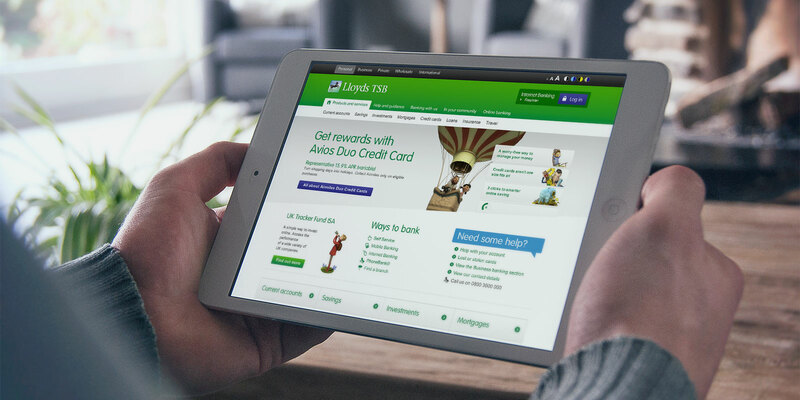 Gathering requirements, testing prototypes, presenting designs and integrating feedback from over 1000 clients and users. The design avoided superfluous detail and used the right mix of soft contours, edges and colour to ensure you always knew where you were and what to do next. 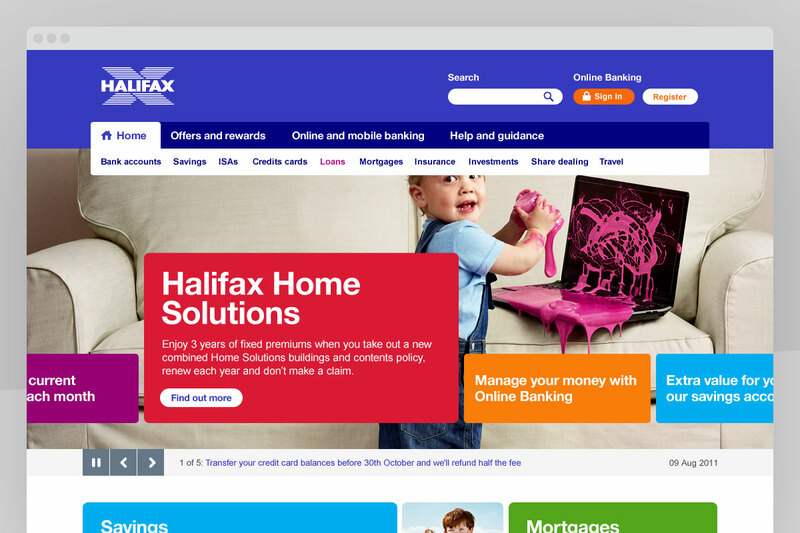 A range of financial tools guided users to the products that were right for them by answering a series of simple and relatable questions. 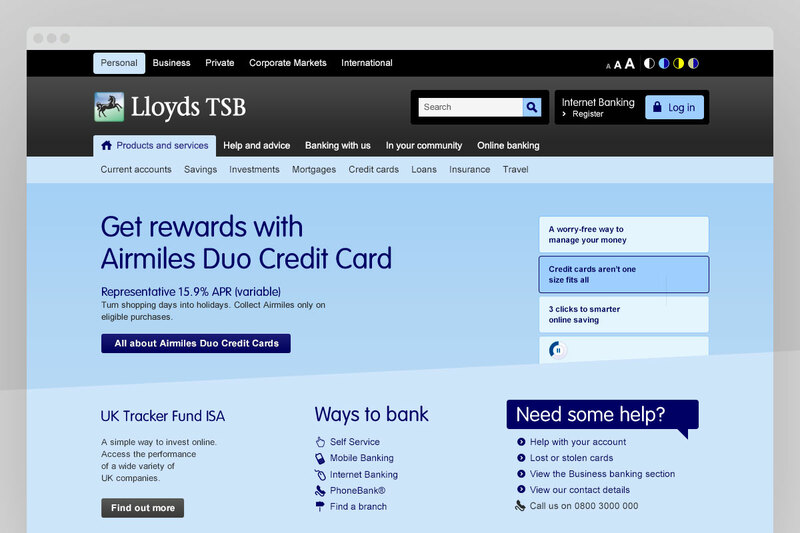 The site also featured best in class accessibility controls. 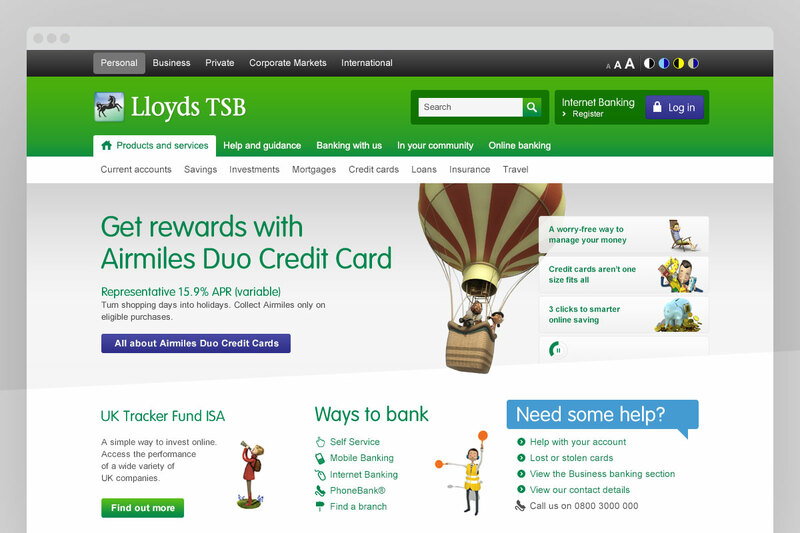 Making the site easier to use for Lloyds TSB's 22 million customers. 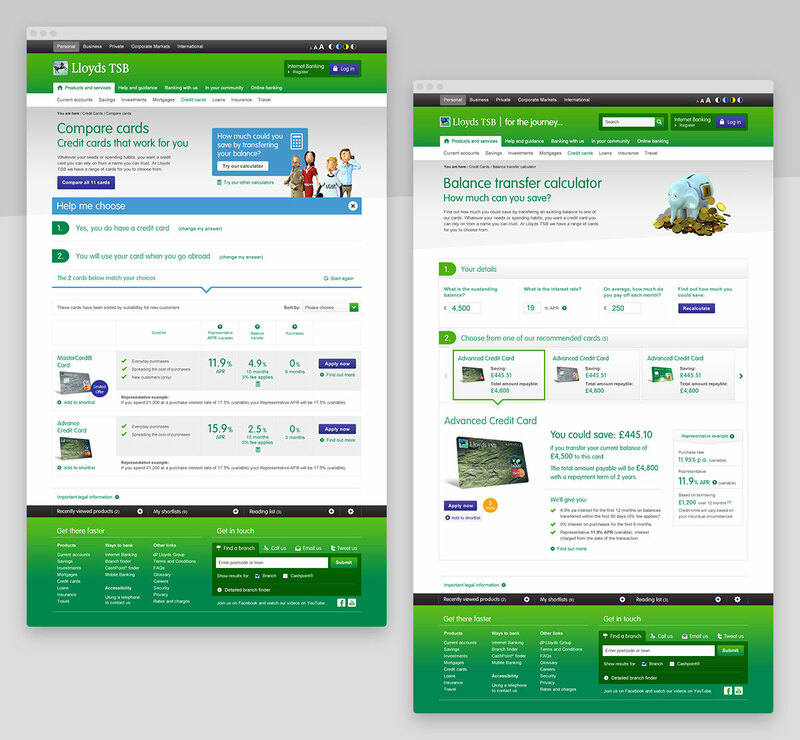 There were also microsites for campaign activity. 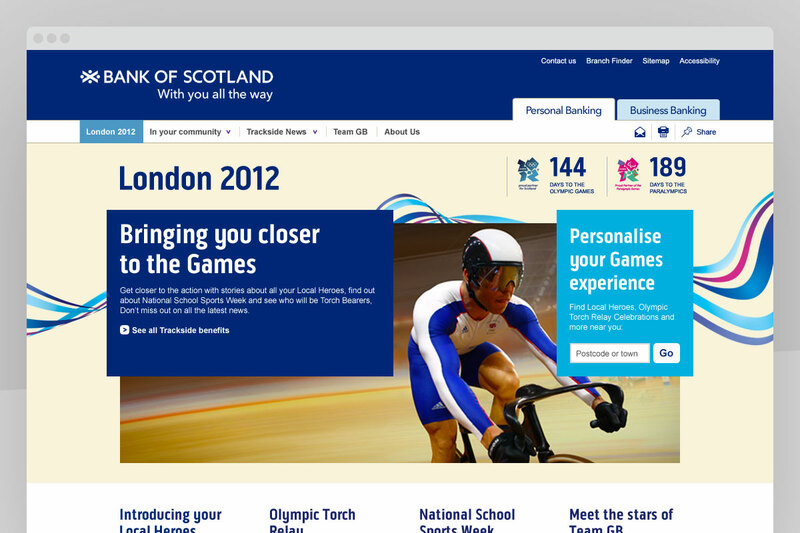 The biggest of which was the London 2012 site that brought the games nationwide with local sports initiatives and the chance to carry the Olympic Flame. 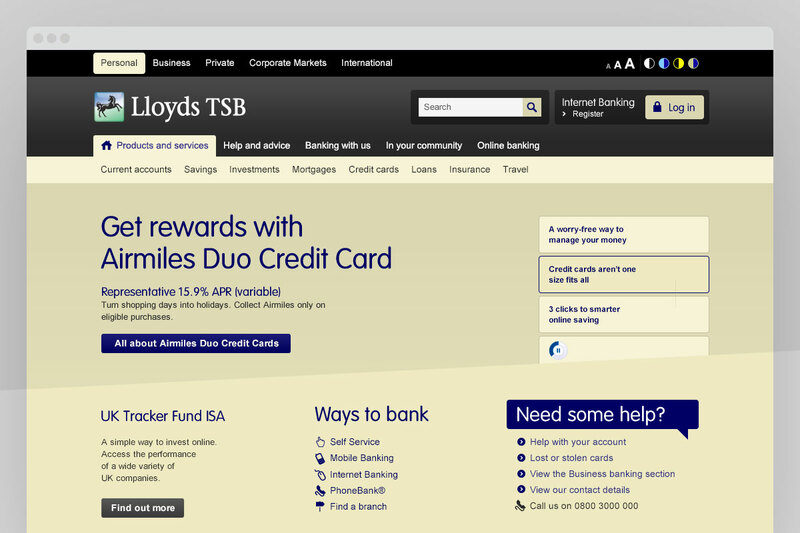 The simple grid and reusable modules then made it easy for Lloyds Banking Group to reskin the platform for their other bank brands and ready for Lloyds TSB's rebrand to Lloyds Bank. 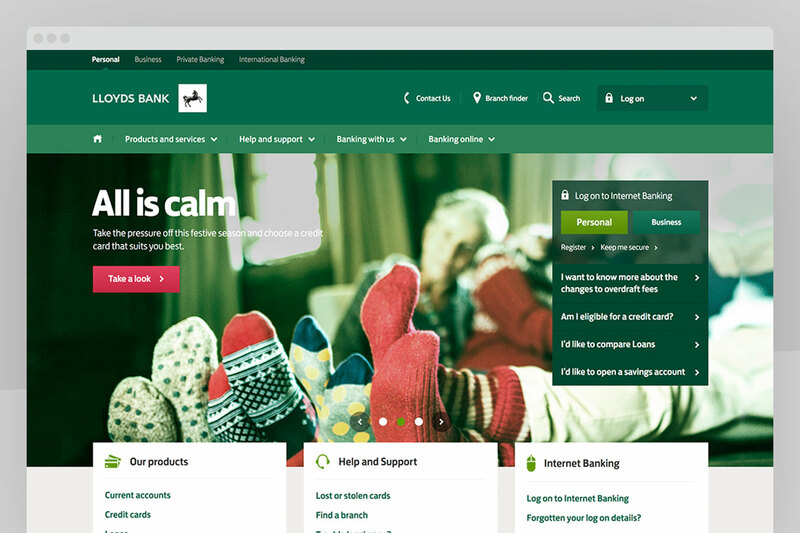 5 years on and the quality of the design work is demonstrated by Lloyds Bank's new responsive website retaining the content structure, user journeys and design principles this project established.